SMOSH’s Anthony Padilla and Ian Hecox, the comedy duo from the highly popular YouTube channel with over 6.1 billion video views to date, star in the animated motion picture Arctic Adventure: On Frozen Pond, releasing on DVD, Digital HD and On Demand April 18 from Lionsgate. Join the frog warriors (Padilla and Hecox) and the frog princess (Ambyr Childers) as they embark on a mission to save legendary warrior Crystal Frog in a family-friendly story full of mystery and fun. The film has been dubbed “a delightful tale” by the Dove Foundation, and has been awarded the Dove Family Seal of Approval. 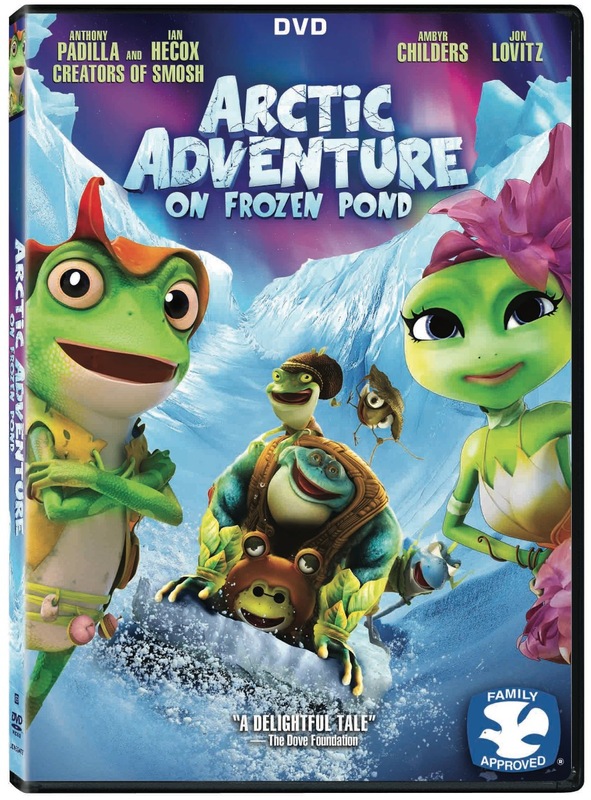 The Arctic Adventure: On Frozen Pond DVD will include an exclusive featurette titled “Giving the Characters a Voice: At the Recording Studio with Anthony Padilla and Ian Hecox (creators of SMOSH), Ambyr Childers, and Jon Lovitz” when it hits the shelves for the suggested retail price of $19.98.